This necklace features three gold chains with large round links, a waterfall of dangling teardrop brown beads and bright purple feathers pending on long chains. 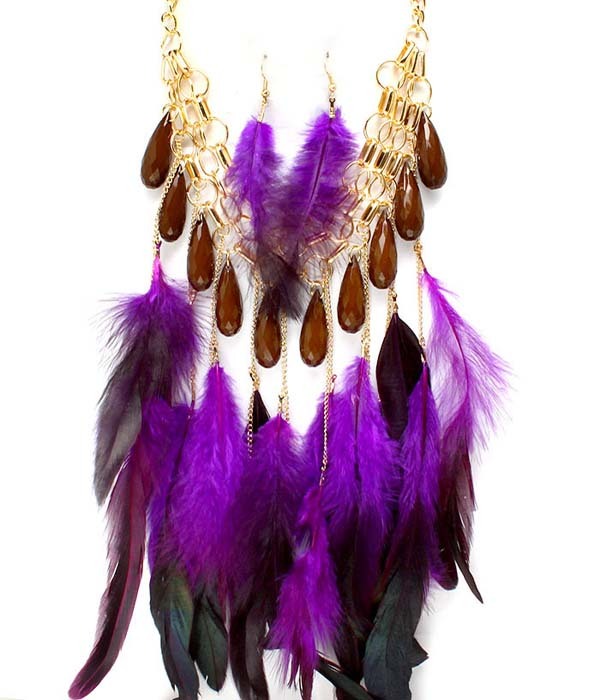 The earrings are made from feathers on a hook fastening. Shop from Australia's largest range of necklaces online here and now!